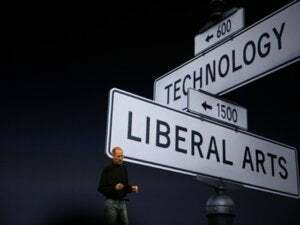 What works (and doesn't), how Apple can help further, and the prognosis ahead. One year ago, just before the release of the Apple Watch, we spoke to several game developers about the coming future of wrist-based wearable gaming. All of them were excited, but some were uncertain of what was ahead—in part because some were developing for a smartwatch they’d never worn, and a device that wasn’t quite like any other before it. Now, as the Apple Watch nears a full year on the market, we’re taking another look at gaming on the device, this time with a lot more experience. We’ve played hours of wearable games, tapping and swiping through tiny narratives or battling fantasy monsters, and we’ve watched as the initial enthusiasm and intrigue around wearable gaming quieted considerably. Talking with developers again today—some of whom we spoke with last year, along with others—there’s still excitement about the Apple Watch gaming market today and ahead. But there’s still uncertainty, this time over whether players are going to embrace wearable gaming like they did smartphone games, if developers will push hard enough with new ideas, and if/when Apple will shine more of a spotlight on their creations. Back when the Apple Watch was about to be released, many developers trusted Apple’s suggestions that players would want quick-hit experiences that last only seconds at a time. And any of us who have played Apple Watch games can safely say that’s a smart idea: It’s not comfortable to hold your arm up for lengthy sessions. You might as well grab your iPhone for a richer, fuller experience. Runeblade condenses an RPG epic into tiny morsels, and it has some seriously die-hard fans. “Smartwatch games are very, very different from mobile games,” asserts Aki Järvilehto, and he should know: he’s the CEO and president of Everywear Games, a company founded solely to make wearable games. Everywear made a nice splash with bite-sized role-player Runeblade at the Apple Watch’s launch, and it has continued to be a standout option for the Watch. 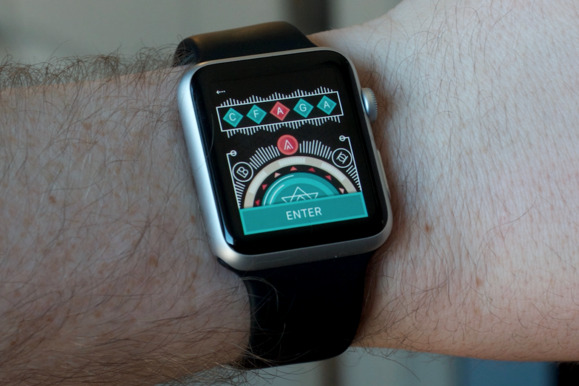 Since then, the company has launched another Apple Watch game, Time Unit. Despite the streamlined approach and smaller scale, Runeblade has proven to be surprisingly addictive: It has a solidly active subreddit, and fans have built a Wikia compendium about the experience. Järvilehto says their most active players log more than 100 play sessions per day in those compact bursts, which wouldn’t make a lot of sense on any other kind of device. But that’s the extreme case—and on the opposite end, some players just don’t see the value in playing a game on a tiny, wearable screen when an iPhone is inevitably in range. Some creators agree, too: We heard from Jacob Williams, a 10-year indie developer who has recently worked on a game called Fortune Fighters for Mac and PC, and who develops mobile and cloud apps for the trucking industry as his day job. Clearly, however, some types of Apple Watch games are working for gamers and developers alike. Runeblade and other short-burst action/role-playing games of that sort have their proponents, but the most raved-about early Watch experience has to be the narrative adventure. And we have Lifeline to thank for that. Developed by Three Minute Games and written by author Dave Justus, Lifeline was one of the big launch highlights, offering up a choose-your-own adventure tale played for moments at a time. You’re cast as the only person who can communicate with an astronaut who crash-landed on a mysterious moon, and as he or she sends messages, you can help guide his or her fate. You can play for a few minutes and then pull away for hours, only to find a new notification from your fictional friend. It’s all text, but Lifeline’s bit-by-bit storytelling helped establish one of the Apple Watch’s essential experiences. Since then, Lifeline has found success on iOS devices for users who don’t have an Apple Watch, and the team has launched sequels Lifeline 2 and Lifeline: Silent Night. Further Lifeline games are in development, and we’ve seen other examples of text-based Watch adventures that follow a similar routine. It might not look like much, but the piecemeal, notification-based storytelling approach is really resonating with players. As for other types of games that feel perfectly suited for the Watch, examples seem few and far between. After the initial burst of launch titles came, with their hits and misses and maybe even misjudged expectations, it feels like we’ve seen very few major Apple Watch game releases in the months since. Perhaps developers are taking their time nurturing ideas and finding what works, or waiting for the user base to expand and/or really embrace gaming. 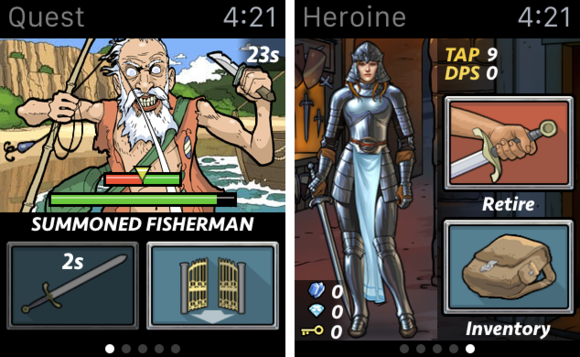 There are numerous Apple Watch games to download, but it feels like the early momentum has cooled. 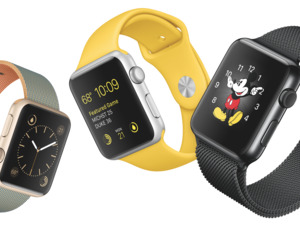 “Looking back, we hoped for Apple Watch to be a catalyst for innovation in mobile gaming. While this turned out to be true to a degree and especially for some genres, there’s still room for more,” says Martin Pittenauer, CEO of TheCodingMonkeys. His team developed the Apple-promoted Rules! for the Apple Watch launch, and followed it up with One Button Travel, a Lifeline-esque interactive fiction experience. Games of all sorts—including Rules! and One Button Travel—greatly benefitted from watchOS 2’s move to native apps. Developer Matt Wiechec, who released A Tiny Game of Pong for Apple Watch this spring, suggests that the market is still too new and unproven for many creators to take notice. And it might be a matter of expectations too, he says. What exactly is a major game release for the Apple Watch? Will any Apple Watch game resonate as immediately as a flashy or more immediately immersive new iPhone or iPad game might? One of the big drawbacks of the Apple Watch at launch was the lack of native apps running right on the smartwatch itself, as app content had to be streamed from the iPhone. That hurt apps of all sorts with lengthy waits and delays, but it especially affected games, as that limitation curtailed interactivity and forced developers to essentially do less with less. Luckily, the September release of watchOS 2 fixed a lot of the problems. With watchOS 2, the Apple Watch could finally run games natively without the iPhone, as well as tap into animation APIs for enhanced graphics and interfaces. All of the developers we spoke with admitted that the OS upgrade made a huge difference in game performance. “watchOS 2 changed a lot of things. The faster interaction made it possible to think about new game concepts,” adds Pittenauer. However, he says the change added a bit more work for developers trying to manage save states between iOS and Apple Watch versions of the same game—both Rules! and One Button Travel can be played on either device. While native app compatibility was arguably watchOS 2’s biggest enhancement, the updated SDK also allowed developers to make use of the Digital Crown along the side of the device, as well as tap into the accelerometer, heart rate monitor, and Taptic Engine. That meant that games were no longer limited solely to touch interactions, which could inspire new types of gameplay for the tiny hardware. It’s what inspired Wiechec to create A Tiny Game of Pong for the Watch. Granted, Pong’s fundamentals were established more than 40 years ago by Atari, but the announcement of watchOS 2 and its expanded capabilities got Wiechec pondering what kind of game could really take advantage of the Digital Crown while still remaining fun on that minuscule display. While the early technical issues of the Apple Watch have been largely resolved, some developers still hope to see Apple address app and game visibility. The Apple Watch hasn’t been widely marketed as a gaming device, but more crucially, it’s not easy to find Apple Watch games within the App Store itself: you need to browse via the Watch app on iPhone. 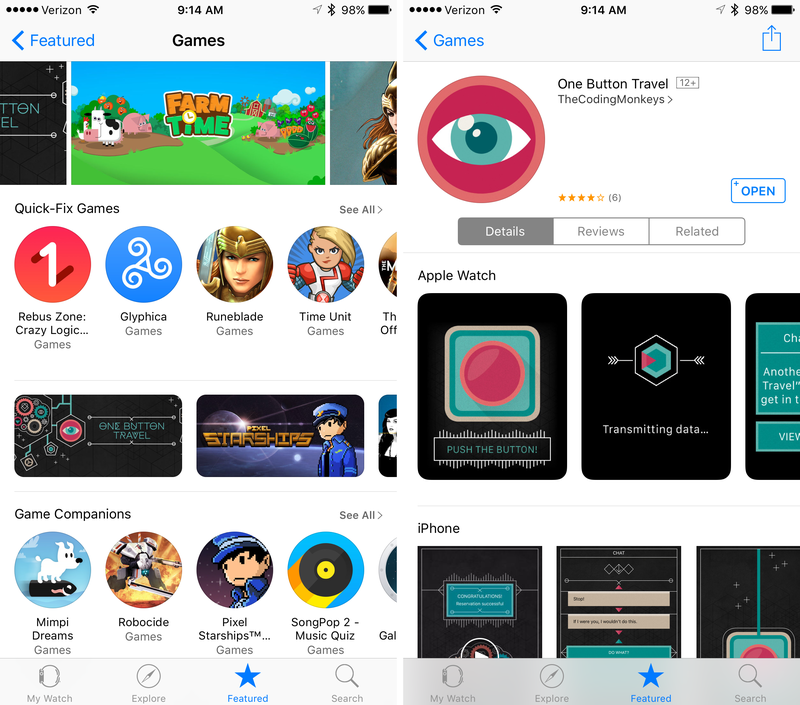 Watch games and apps don’t get much play in the regular App Store app—the dedicated section is found only within the iPhone’s Watch app. Will the Apple Watch ever be as significant a gaming device as the iPhone? It seems unlikely, given the limitations of the platform, its dependence on the iPhone itself, and the less-essential stature in our digital lives compared to a smartphone. However, it’s important to acknowledge that it’s still very early. The Apple Watch is the first smartwatch to offer a solid selection of games, and watchOS 2 has only been available for a matter of months. As newer hardware eventually comes and more capabilities are added, developers will surely find more sparks of interest and pursue bright new wearable gaming ideas. And as more and more people buy the Apple Watch and explore the available software, further companies will be tempted to enter the market and take advantage of that growing user base. It’s why some developers remain excited for the future of wearable games, despite the current limitations and perhaps sluggish initial interest or knowledge from players. We’re only a year into this. What about a year from now—or five years from now? The iPhone gaming market seemed to explode pretty rapidly, but the Apple Watch could take longer. In any case, so long as early pioneers keep pushing, there’s hope for bigger things on the horizon.